Senior officers from the Royal Air Force (RAF) and Royal Navy (RN) have admitted that, despite the UK's closing its Maritime Patrol Aircraft (MPA) gap with the acquisition of nine new Boeing P-8A Poseidons, there are unlikely to be sufficient aircraft to properly address emerging threats and create the required “mass” to have an impact on global maritime operations. Answering questions from AIN at a recent UK Air Power conference hosted by the Royal Aeronautical Society in London, the two senior officers—who spoke under the Chatham House Rule—said that in ideal circumstances they would like more P-8 Poseidons. “Yes, I'd like more P-8s; you'd be surprised if I said I'd like less,” said the RN officer. The RAF officer concurred, “Of course, we would love more P-8s,” although he outlined to AIN that mass is more than just aircraft numbers and involves a host of other capabilities, including greater connectivity between platforms and acquiring fifth-generation fighters such as the F-35. Nevertheless, the RAF officer warned that having only nine aircraft is a concern, especially as they could “realistically only be in one place at a time” even though Russian and Chinese maritime activity is increasing. 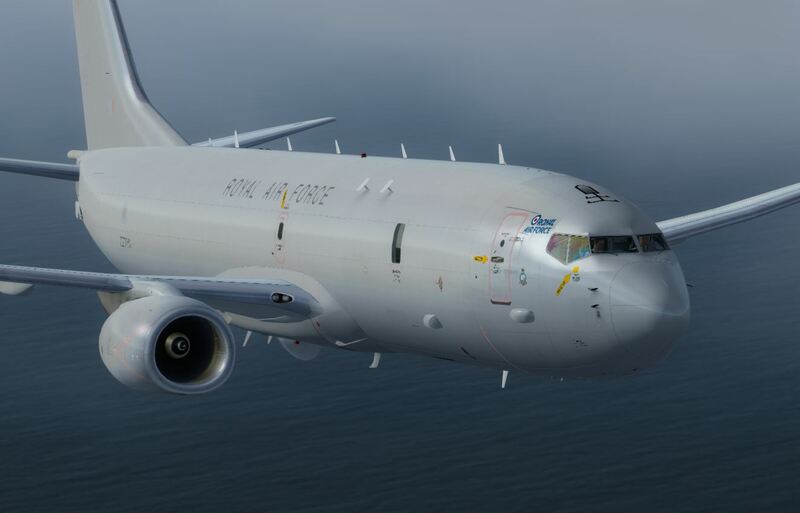 “The P-8 was procured to provide additional maritime security in the North Atlantic. This in itself is becoming increasingly challenging,” he said, highlighting Russia’s unprecedented underwater activity and China’s growing presence in North Atlantic waters and beyond. Just as a sidenote I've always wondered why purpose built maritime patrol aircraft OR long range cargo planes haven't been used in this role instead of just outfitting passenger planes. Having read about the mission (and it might have changed) but I imagine them flying for long periods of time and dipping down low to chase subs then back up for long flights. Converted passenger planes are indeed doable (we're seeing that here) but other options would seem to be a better fit in my opinion. Doesn't matter though. What does matter is if the Brits will be able to get a few more P-8's. It'll eventually come down to how much they're going to shave their Army...and that's the real issue. For better or worse the British Army will be the piggy bank that pays for a larger airforce and navy.